10. "Pretty Woman," by Bryan Adams, Jim Vallance, J.F. Lawton and Garry Marshall (Broadway) Sometimes it's possible to be way too faithful to your source material, in this case, Julia Roberts' pro-prostitution movie fantasy. 9. 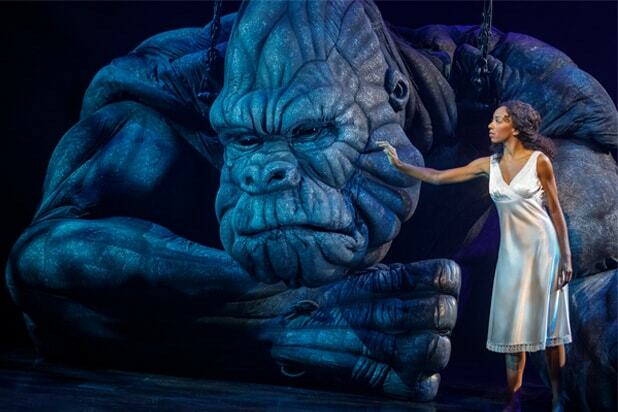 "King Kong," by Marius de Vries, Eddie Perfect and Jack Thorne (Broadway) The big ape's plummet from the Empire State Building is nothing compared to Thorne's fall from grace here, tarnishing his Tony Award for "Harry Potter and the Cursed Child." 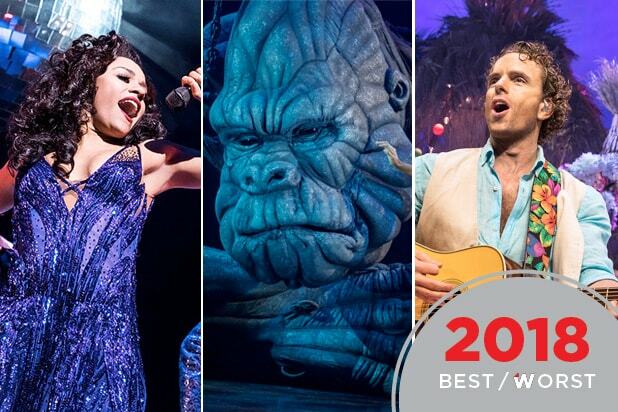 Only Broadway's biggest puppet survives. Barely. 8. "Cosi fan tutte," by Wolfgang Amadeus Mozart and Lorenzo da Ponte (Metropolitan Opera) Phelim McDermott's overly cute direction places Mozart's masterpiece in an amusement park, muddling the story to the point that even the overture is disrupted with unwarranted applause. Kelli O'Hara, this production's Despina, is a star on Broadway, but not at the Met. 7. "India Pale Ale," by Jaclyn Backhaus (Off Broadway, Manhattan Theatre Club) An offstage mass shooting is the only drama to beset this extraordinarily dull, sitcom-inspired Punjabi community in Wisconsin. 6. "Summer," by Colman Domingo, Robert Cary and Des McAnuff (Broadway) Donna Summer, the queen of disco, travels the mini-trajectory from "Love to Love You, Baby" to "The Last Dance." Drugs and homophobia provide minor diversion. 5. "Be More Chill," by Joe Iconis and Joe Tracz (Off Broadway, Pershing Square Signature Center) A high school student drops a pill to make himself popular, but doesn't share its magical powers with the writers of this musical. It's transferring to Broadway. 4. "Good for Otto," by David Rabe (Off Broadway, The New Group") A medical doctor and a psychologist give patients folksy counsel in a rural mental health clinic. The therapy sessions are endless. Adding to the pain is the waste of such talents as Ed Harris, Amy Madison, F. Murray Abraham and Mark Linn-Baker. 3. "Escape to Margaritaville," by Greg Garcia, Mike O'Malley and Jimmy Buffett (Broadway) This ode to alcoholism failed to include an AA meeting in the theater lobby. 2. "Gettin' the Band Back Together," Ken Davenport, Grundleshotz, Mark Allen, and Sarah Saltzberg (Broadway) New Jersey garage bands deserve better than this musical. 1. "Rocktopia," by Rob Evan and Randall Craig Fleischer (Broadway) No, you really can't mix Tchaikovsky and Patti Smith, or Mozart and Styx.